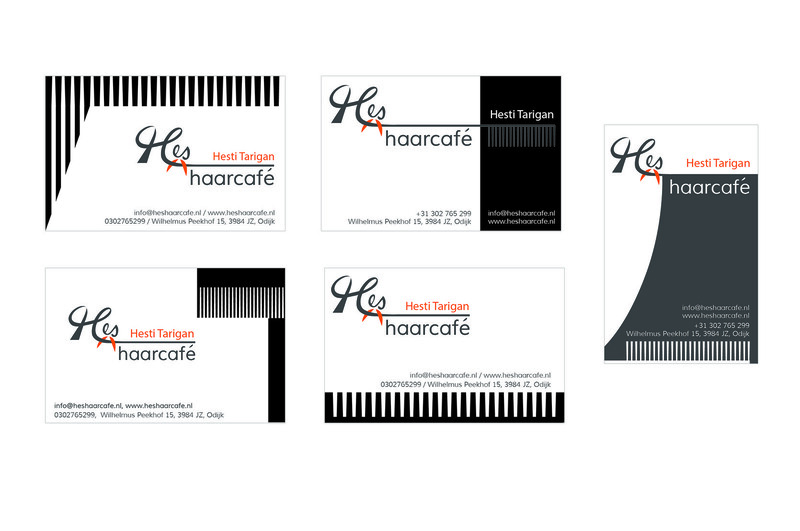 The project is for the logo and business card of Hesti’s hair salon. The name of the salon is “He’s haarcafe”. She chose orange for the interior design of her store, and she preferred that the style of the logo is clean and modern. 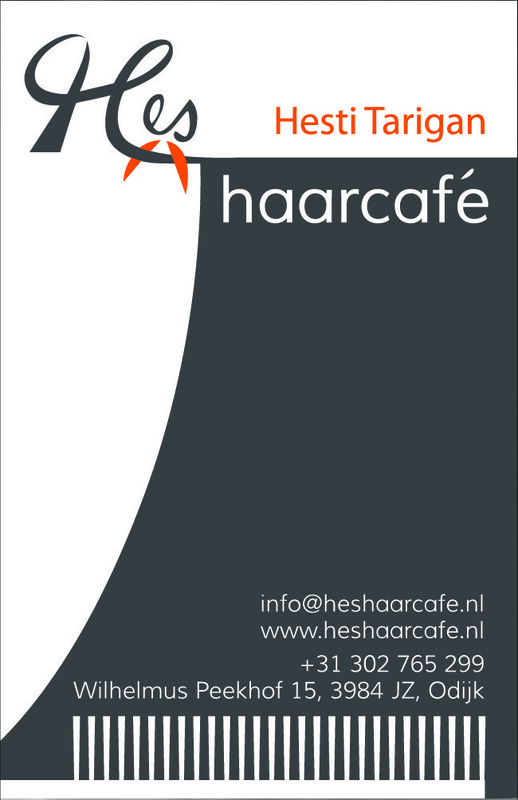 I was trying to create the connection with the name of the store “Hes” haarcafe and hair cut cut in the logo. (The reference is below the text.) So my idea was that the logo needed to include the tool of hair cut and hair in order to present the hair salon. I’ve merged “H” with the texture and feature of the hair and presents it as the hair in the logo. The “es” was shaped into the handle of the scissors. Two blades of the scissors are in orange because of the orange interior in the store. Then I created couple of variations of the logos and customer can choose a logo from these variations.